An Equity Crowdfunding Platform is a new type of website. It plays matchmaker between entrepreneurs seeking capital for their business, and investors like you seeking ownership stakes in early-stage companies. The birth of these sites coincided with Congress passing the JOBS Act in 2012. Since the JOBS Act was passed, hundreds of these platforms have already popped up, and more are getting started every day. For example, some platforms focus on technology start-ups—this is where you’ll try to find the next Google or the next Facebook. Others platforms focus on food and beverage products—that’s where you’ll go to find the next Ben & Jerry’s, or the next Snapple. And some platform focus on even more specialized sectors—like bio-tech deals, or med-tech devices. Update: In May of 2016, Title III of the JOBS Act was enacted. 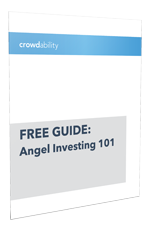 Now everyone can invest in early-stage companies, regardless of their income or net worth. In addition, new types of investment crowdfunding have become available, including the fast-growing sector of Real Estate crowdfunding.